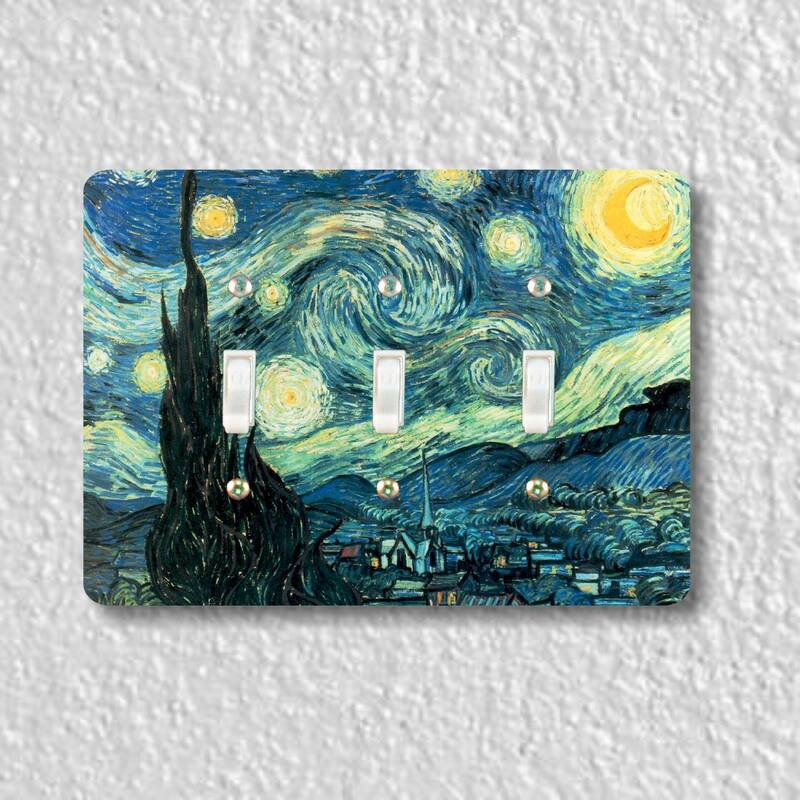 The image on this triple toggle switch plate is a high resolution image of Vincent Van Gogh's painting called Starry Night. You need 1.5 inch clearance to the left of the left switch opening and 1.5 inch clearance to the right of the right switch opening for this triple toggle switch plate to fit your wall. Very nice switch plate cover, even better than I expected. The picture is beautiful and the style is perfect for what I want. Also arrived very quickly, great service! Fits perfect in the Van Gogh room. Bright colors, material flexible enough to fit over an older home's quirky switch box.